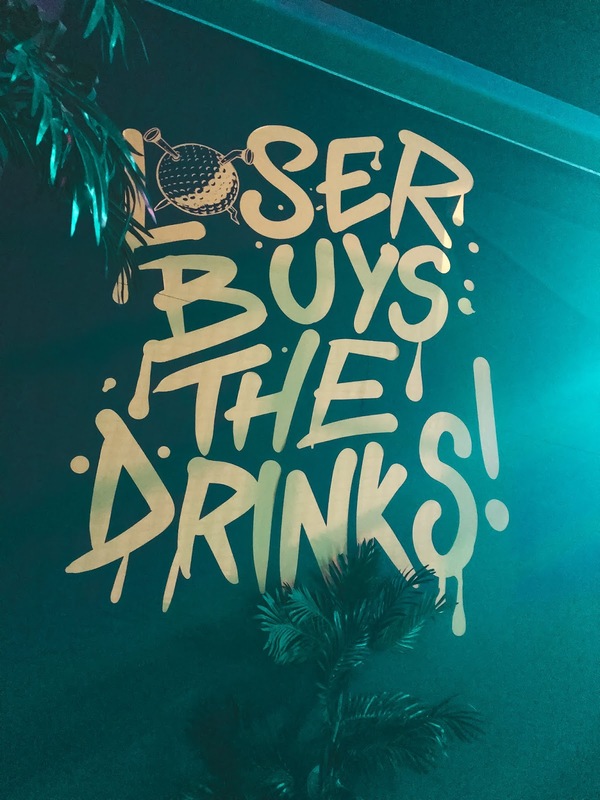 At the weekend I finally went down to Junkyard Golf in Manchester to have a game and some cocktails with friends. 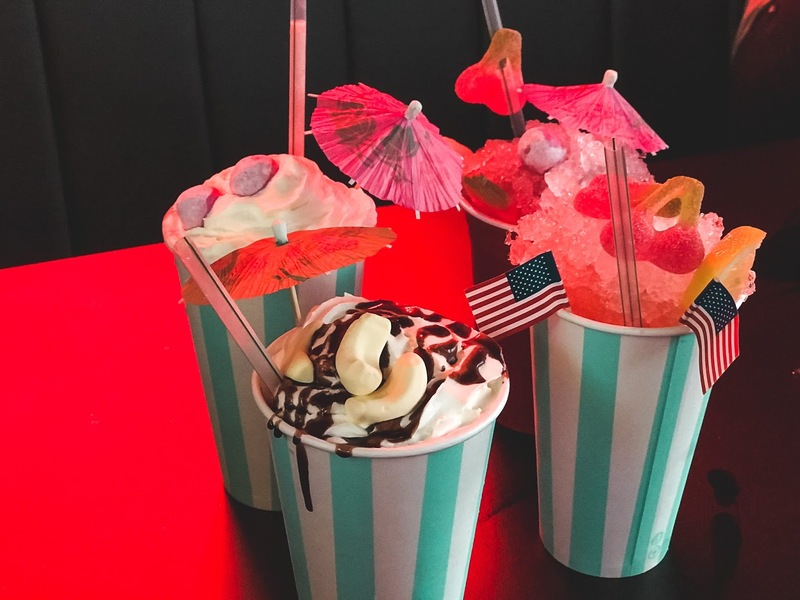 If you're a lover of crazy golf, cocktails and nacho's then this is the place to go! 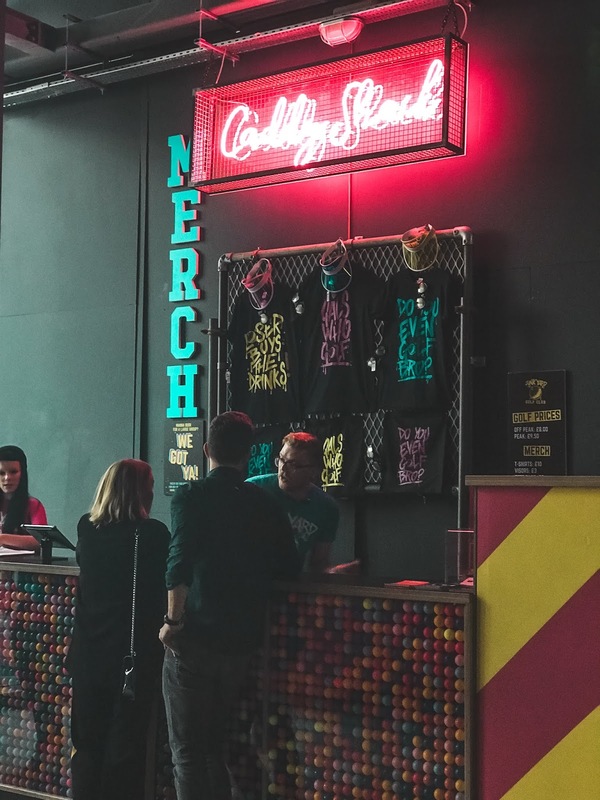 I'm always looking for different things to do in the evening and Junkyard Golf on First Street (you literally get off the tram at Deansgate and it's right there!) was pretty fun to do. 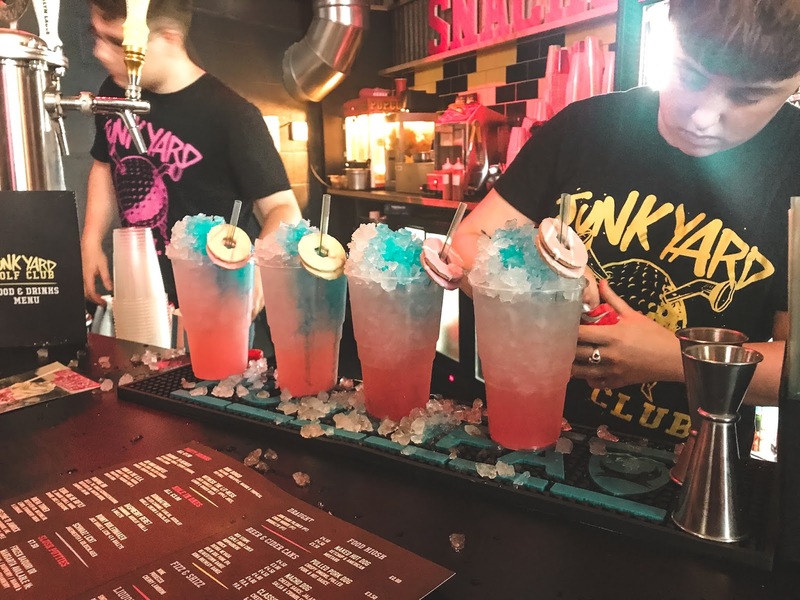 We headed to the Caddy Shack to get our wristbands and stopped at the upstairs bar to grab a cocktail, we all chose the 'Hotline Ting' which had some childhood favourites like Party Rings and Popping Candy - love it! We did the 'Pablo' course which is jungle themed, there's 9 holes to pot and they're all quirky and unique. There is also 'Bozo' (Circus) and 'Gary' (Scrapyard) courses which I didn't try but they look cool too! Our game lasted around 45 minutes and not surprisingly... I lost. We then sat in the downstairs bar for another drink and a chat. I would definitely say this a place you need to try if you're looking for something different. On Mondays and Tuesdays they even do 50% off for students! I'm now craving a hot dog, some nacho's and another cocktail from the menu, I wish I tried the Ribena Turner. 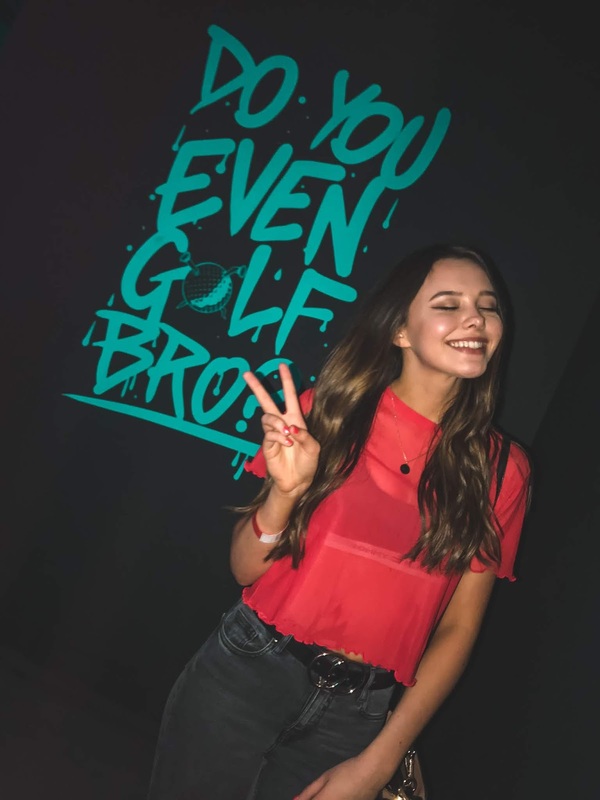 For more information check out the Junkyard Golf website here.